Jose Gutierrez arrived in Washington in 1994. It has been an honor and privilege to serve our LGBT community for many years since the late 80’s with the crisis of the AIDS epidemic, and then collecting and preserving the history of the DC Latino LGBT community. It is very important to educate our new generations about our history, heritage, and culture. José’s volunteer work began with AID Atlanta in the 1980s, assisting the Latino community in Georgia with HIV/AIDS testing and the distribution of condoms and bilingual AIDS brochures. This work in part earned him a special award in 1996 for his multiple contributions to the Latino LGBTQ community from the National Latina/o Lesbian, Gay, Bisexual and Transgender Organization (LLEGÓ), where he later served on the board of directors. He worked for several years in DC with the Whitman-Walker Clinic, and has also pursued AIDS awareness and health issues advocacy in the leather community, where he was named the first International Leatherboy in 2002 and worked to raise funds for AIDS organizations, and in his current job as a medical case manager for La Clinica del Pueblo in Mount Pleasant. José also published a bilingual book of poetry, AIDS in My Letters – El SIDA de mis letras in 2004. José also has been deeply involved in the preservation of LGBT history, educating and making presentations to schools, organizations, universities, museums and Latino AIDS groups. He was a local co-chair of the Millennium March in 2000. In this same year, he founded the Latino GLBT History Project, for which he served as the first president, and was one of five co-founders of the Rainbow History Project. Additionally, he organized the first DC Latino Pride in 2007, “20 Años de Lucha!- 20 Years of Struggle!” This celebration focused on the history and contributions of the DC Latino LGBTQ community. 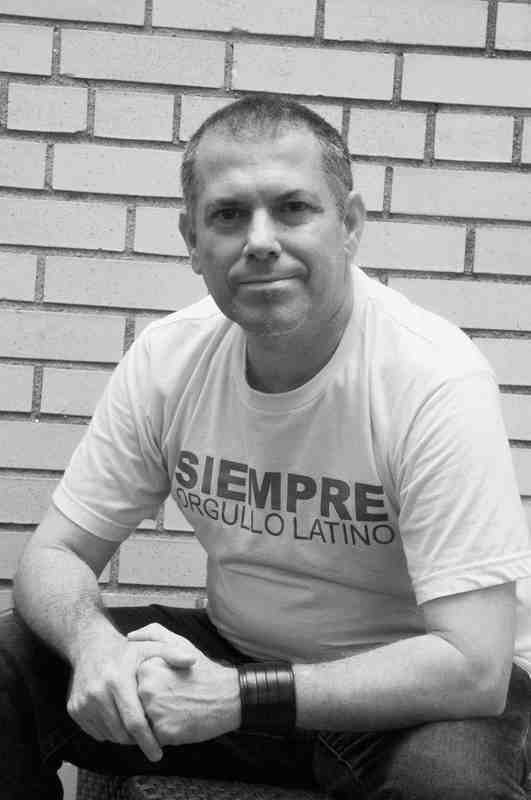 José is still deeply involved with the Latino GLBT History Project as co-chair of the Archives Committee, and in 2011 he received a special award from the Project for his mentorship and activism work in the Latino LGBTQ community. Activist, advocate, educator, volunteer, and mentor, José Gutierrez was named a Capital Pride Hero in 2005 and received the Community Award from the Gertrude Stein Democratic Club in 2007. He currently serves on the board of directors of Unid@s, the national Latin@ LGBT human rights organization.